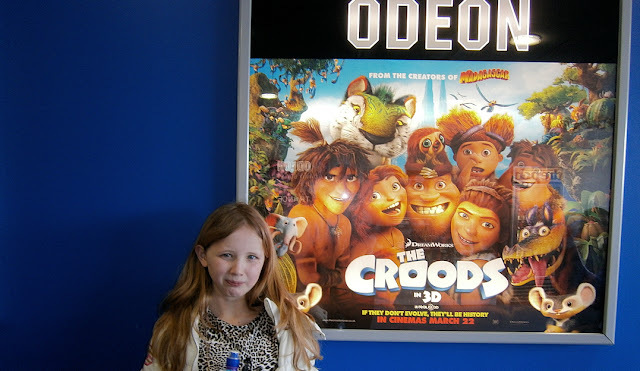 We were lucky enough to be invited along to the preview of The Croods 3D at our local Odeon Cinema, and so we went along to give our verdict on this new film. We all throughly enjoyed the film, it was enjoyable for the whole family from my 5 year old to my 11 year old. 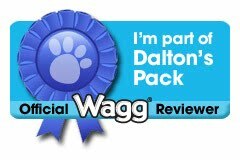 If you are thinking of taking a trip to see it then here is our review. The Croods is a Dreamworks animation from the creators of Madagasca. It is all about the last surviving cavemen, who have managed to survive by following their fathers rules, the main one being that anything new is bad. They live thinking everything in life is to be feared, the starting sequences gives you a glimpse into their life with an action packed egg chase in order to get their breakfast! But their simple life in their cave is to be changed when an Earthquake destroys the cave and they are forced to venture out of the world they know. The film is beautifully animated the visuals are simply amazing, the 3D element really brings the show to life whilst not being too overpowering. During the movie, you get to know the whole Crood family, with a dynamic much the same as modern day families which really helps you relate to the characters. Grug is the protective father voiced by Nicolas Cage, Eep is the headstrong teenage daughter voiced by Emma Stone, she is the one who goes against Grugs rules and in doing so Meets Guy, who is a nomadic caveboy, where he may not be as physically strong as the Croods he comes up with great inventions and inspires everyone to follow the sun to Tomorrow. Guy captures the Croods attention with his ability to make fire, and he saves them from a deadly swarm of piranha birds. Eep is instantly attracted to Guy, but Grug is not happy with his appearance and initially believes he can manage to find a safe new place to live without his help, but as they travel through new worlds it becomes apparent that the new ideas that Guy has are infact needed. Other Family members include Ugga the mum, baby Sandy, Thunk portraying the middle child, and Gran, who is very old and a bit of a burden on the family she adds such a great dash of humour. The whole story is well played out, with enough funny laugh out lound bits and touching moments, it flows nicely with the progress from cavemen to thinking humans, cleverly thought out snippets make this a really enjoyable movie like where the Croods all find the joy of pets and they interact with the animals they encounter in new ways. Heartfelt moments include the time Grug uses his strength to save the family, whilst not knowing if he himself will make it, Eep appreciating her fathers protectiveness and wanting to tell him that she really does love him inspire Grug to finally using his brain and invent something - a hug; named because it rhymes with Grug! My three all equally enjoyed the film. Mikey who is 5, didn't quite follow the story as well as the others, but was excited by the lively characters and 3D visuals. My elder two aged 11 and 9 loved everything about the film, and easily related to the characters and family dynamics. The new paradise 'Tomorrow' reminded me very much like the forests in the film Avatar, with bright coloured plants and wilderness which seemed to come alive. There were moments of actions but nothing too scary for younger viewers, and the animals were all very well detailed in a friendly manner. The overall lasting theme of the movie was 'never be afraid' and a strong 'family bond' a really great notion for all children and adults alike. The Croods is opening in all cinemas from March 22nd with a run time of just over an hour and a half this is a great family film to go to see this Easter Holiday. It is everything you want for an enjoyable family movie, lots of action, humour and a story line which can be enjoyed by the youngest to the oldest viewers. 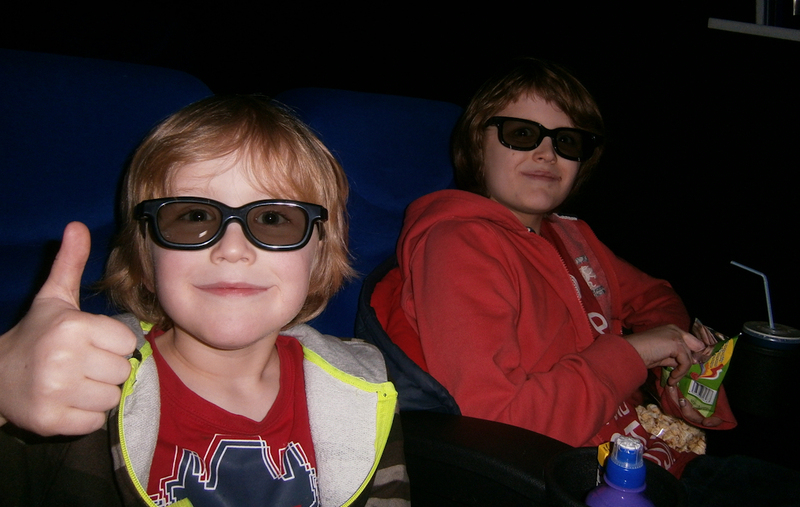 We were provided free tickets to see The Croods to give our thoughts on the movie.